PARIS (Reuters) - Bouygues Telecom said the roll-out of its new superfast mobile network was ahead of schedule and would cover 63 percent of the French population by the October 1 launch. Like third-largest operator Bouygues, France's leading telcos Orange and Vivendi's SFR are racing to build fourth-generation mobile networks and sign up customers to new offers featuring five times faster mobile Internet speeds. The stakes are particularly high for Bouygues because its smaller size has made it vulnerable since Free's mobile launch. Now Bouygues is seeking to capitalize on the headstart it has in 4G because of the authorization it obtained from the French government in March to re-use old spectrum once used for voice for mobile data. As a result, Bouygues will have broader coverage than rivals more quickly, and will also be the only operator able to offer Apple Inc's iPhone users 4G speeds as of October. SFR and Orange are aiming to cover 40 percent of the population by the end of the year. Both have said they aim for at least 1 million 4G customers by the end of the year. Bouygues has not given a customer target. Orange has filed a court challenge to the government's decision to allow Bouygues to get a headstart in 4G, arguing that the move was unfair. But Orange Chief Executive Stephane Richard said on Monday that Bouygues's advantage in 4G would not last forever: "Maybe Bouygues will temporarily have better coverage of the population but this advantage will fade." In a bid to recruit customers quickly, Bouygues will give away one month of 4G usage for free through mid-November. The offer will be open to customers from rival operators. "With the launch, we are offering the opportunity to 40 million French people to discover 4G for free and with no obligation," Bouygues Telecom Chief Executive Olivier Roussat said in a statement. 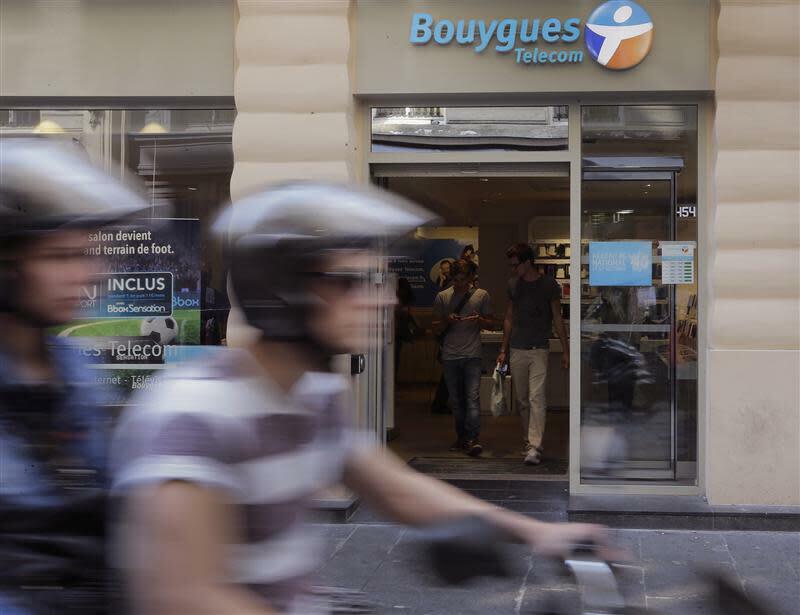 With its existing 4G offers starting at 29.99 euros a month, Bouygues also added a high-end plan with a generous mobile data allotment of 16 gigabytes for 59.99 euros without a smartphone contract. High-end offers from Orange typically include 6 gigabytes of mobile data or 9 gigabytes at SFR. Bouygues, France Telecom, SFR and Iliad bought 4G licenses in late 2011, bringing 3.6 billion euros to state coffers. Construction of the new networks began a year ago but picked up in earnest once Bouygues had its authorisation to re-use its spectrum to launch earlier than rivals. Unlike rivals who are marketing 4G heavily, Iliad has remained quiet on its plans beyond saying that it will offer the service. Iliad owns a bloc of 4G spectrum, although it is smaller than competitors' holdings so it remains to be seen if it can offer national 4G coverage. Analysts at MacQuarie Equities Research believe Iliad will not be able to match the 4G offers and service of rivals, opening the door for Bouygues, Orange and SFR to recruit more customers at higher prices. "We believe Iliad's lack of spectrum, limited network and the difficulties of implementing a roaming agreement will prevent it from providing an effective 4G offering," wrote the analysts. "The competitive pressures could be lessened for a significant proportion of the French mobile market."